Join us for two Learn IT @ Lunch sessions this month. No pre-registration required. Lunch is not provided. Feel free to bring a brown bag lunch. 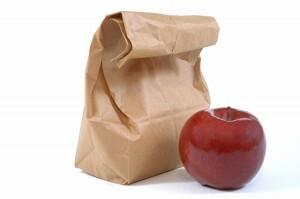 Time: noon – 1:00 p.m.
Don’t forget to bring a lunch! Learn IT @ Lunch is designed to be an opportunity to learn about technology in a relaxed lunch environment. Each session includes a presentation followed by Q & A. No pre-registration is required. Seating is available on a first come, first served basis. NOTE: Lunch is not provided. Feel free to bring a brown bag lunch. 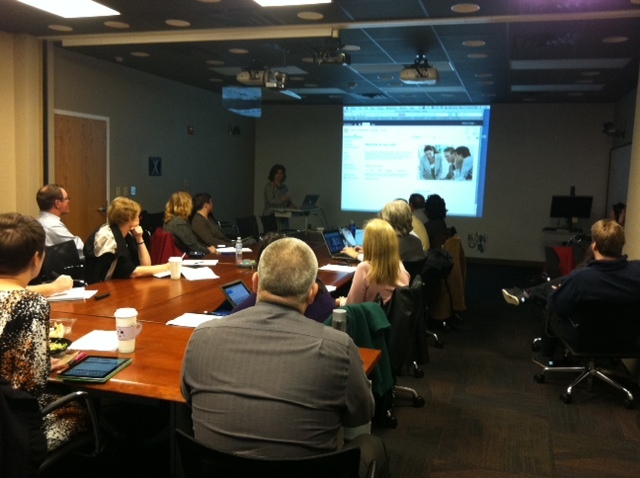 Debrah Suggs (OIT) conducting a Learn IT @ Lunch session on MS SharePoint. 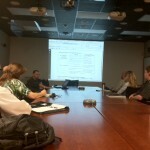 Missed yesterday’s Learn IT @ Lunch “An Introduction to Microsoft SharePoint”? Watch it online. Note: You may be prompted to update your MS Silverlight Plug-in. Also, download the SharePoint handout (PDF) that was distributed. Join us for a Learn IT @ Lunch on Microsoft SharePoint: Workflows on Wednesday, November 14, noon – 1:00 pm in the RENCI Conference Room – OIT Telecommunications Building No pre-registration is required. Seating is available on a first come, first served basis. NOTE: Lunch is not provided. Feel free to bring a brown bag lunch. 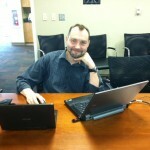 Two SharePoint Learn IT @ Lunch Sessions – Join us! 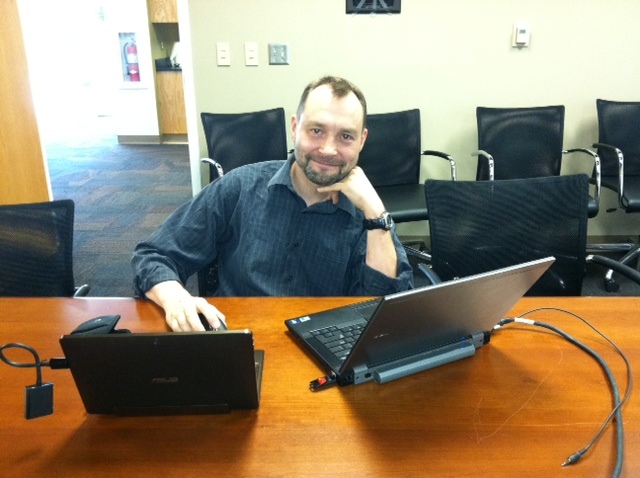 November 2, 2012 / 2 Comments on Two SharePoint Learn IT @ Lunch Sessions – Join us! 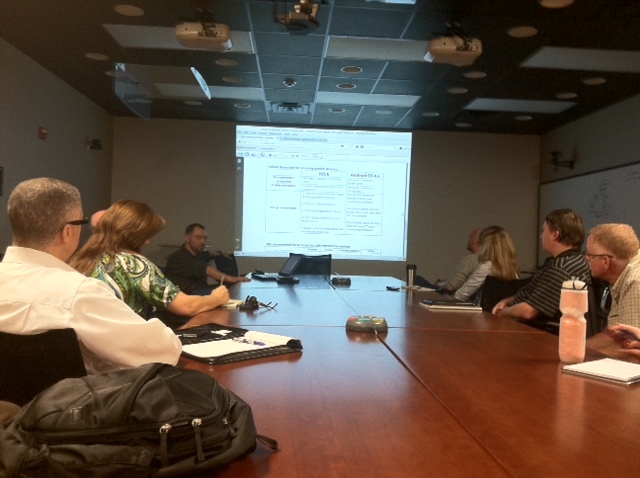 Join us this month for two Learn IT @ Lunch sessions focused on Microsoft SharePoint. Debrah Suggs, Senior Analyst & SharePoint Administrator, OIT Application Support Services, will be conducting both sessions. SharePoint is a collection of tools with a variety of options that help users communicate, collaborate, and get things done. Learn how SharePoint can foster discussion, make sharing of documents easier, and organize data. SharePoint integrates easily into the Microsoft Office suite of applications including Outlook, Word, Excel, and PowerPoint. Attendees will leave this session with a better understanding of SharePoint and how it can fit into local work processes. 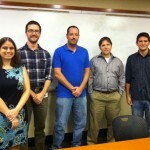 For additional information about SharePoint at Duke, visit http://oit.duke.edu/enterprise/sharepoint/. Many office procedures are routine. They may involve several steps that users must manually replicate. Microsoft SharePoint can assist in these routine procedures with its capacity for workflows which are a series of steps partially or completely automated. Participants who currently have elevated permissions in a SharePoint site collection will learn how to use sample workflows provided with SharePoint and learn what is needed to develop more complex operations. 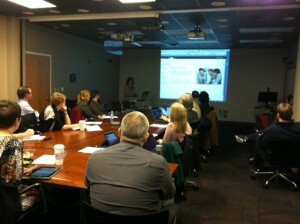 For additional information about SharePoint at Duke, visit http://oit.duke.edu/enterprise/sharepoint/. Hope to see you on Oct. 24 for a Learn IT @ Lunch session on “Keeping Track of your Passwords.” Go here for details. Two Security Learn IT @ Lunch Sessions in October – Join us! October is National Cybersecurity Awareness Month. Join us as Duke’s IT Security Office presents two Learn IT @ Lunch Sessions. Details below. 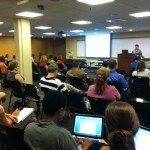 Find out more about upcoming IT security events at Duke on the IT Security Office Website. No matter which camp you belong to: iPhone, Android, MS Phone or (sigh) Blackberry, one thing is clear: mobile devices are here to stay and propagate. With the convenience of having a smart companion almost every hour of the day comes a challenge to keep your personal information private, your online purchasing secure, your geographic location known only to your friends. Software markets are full of apps that claim to help you to not only exterminate pesky pigs, but secure your device in the process. Should we trust them? Which apps are really good, which are harmful? Do I need a special app to secure my device, or good old screen lock is good enough? We will do our best to answer these questions. We also encourage everyone to bring your favorite security app for the open forum portion of the show. Too many times we have seen stories about our passwords being compromised: from Yahoo exposing 450,000 passwords, to having to reset a Zappo’s password, to hearing about a friend or colleague who “clicked on a link” and gave their Gmail password to someone they shouldn’t have. Unfortunately, a large number of people tend to re-use their passwords so that the password that gets them into Duke systems or applications also gets them into Facebook, their bank account, and their personal email account. In this session, we will briefly touch on why password security still matters, and then cover options available to manage multiple passwords in a safe and secure manner. Fall 2012 Learn IT @ Lunch Schedule posted! Don't forget to bring a lunch! 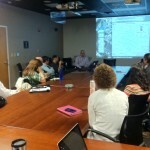 The OIT Training Learn IT @ Lunch series has been announced for the fall 2012 semester. Topics will include Saba, IT Security and Microsoft SharePoint! 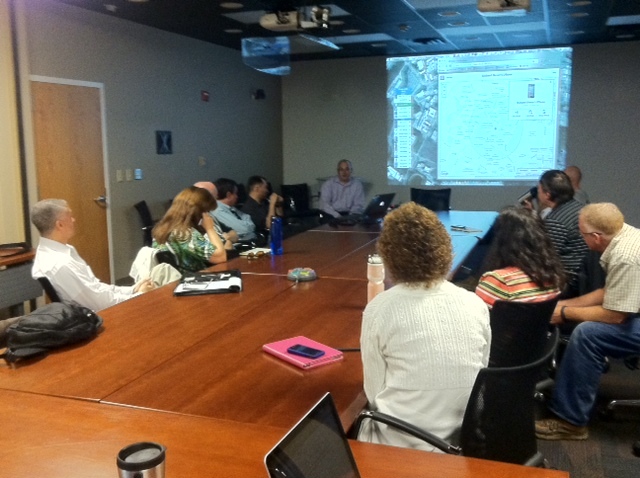 Today’s “Drupal at Use at Duke” Brown Bag was a success with 57 attendees. Missed it? View the Session Recording Note: You may be prompted to update your MS Silverlight Plug-in. Join us on Wednesday, July 25 for a brown bag entitled “Drupal in Use at Duke” facilitated by Ryn Nasser, Duke Web Services Project Manager and other panelists (tbd). Drupal is an open source content management system. This session will introduce participants to how Drupal is being used at Duke, information about migrating from Drupal 6 to Drupal 7 and Duke Web Services plans for future Drupal development, including a profile and custom modules tailored for Duke sites. Q&A time will be built into the session. Lunch is not provided. Feel free to bring a brown bag lunch. Join us for this month’s Learn IT @ Lunch session “Mulit-factor authentication: Something you learn” presented by Artem Kazantsev, Sr. Security Analyst – IT Security Office and Rob Carter, Rob Carter, IDM Architect – OIT Identity Management. Stealing passwords and compromising online accounts is getting easier and easier with the development of custom phishing emails, keyloggers and application of powerful graphic processor to crack encrypted passwords. The only known way to combat password compromises is the deployment of multi-factor authentication, i.e. using other factors in addition to “something you know” (password, pin), such as “something you have” (a token, a certificate, a mobile phone) and “something you are” (fingerprints, voice pattern). We will discuss what options are available to the Duke Community in extensive multi-factor menu. Save the date for an upcoming Learn IT @ Lunch session entitled “Using Technology to Be Green and $ave Green” presented by Casey Roe, Sustainability Outreach Coordinator, Duke Sustainability Office.